Would you love to have more fun with friends and family? 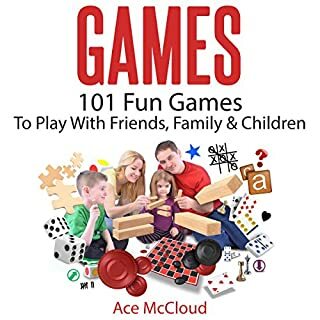 Whether you want to (1) discover some of the best games of all time, (2) entertain yourself and others with inexpensive and exciting games, or (3) find healthy and fun ways of playing with friends and family, this audiobook will teach you everything you need to know. Fun Games For You And The Whole Family! I don't have a lot of time, so audio books help me when I'm looking to get some "reading" in when i'm busy with a mindless task. Kids today spend too much time on their Ipads, Tablets, Computers, and televisions. Even though these devices were made to bring people together and connect them across vast distances, they only make us more distant from the people that should matter most. Luckily, guides like these exist to bring back some of the family magic from back when we were kids. You're probably going to need to force your kids to play with you the first time, but the games in this book are so good that they'll be asking you for a rematch! Dogs are some of the cutest and most adorable creatures on the planet when trained properly. Would you love to know the secrets to loving and caring for dogs and puppies? 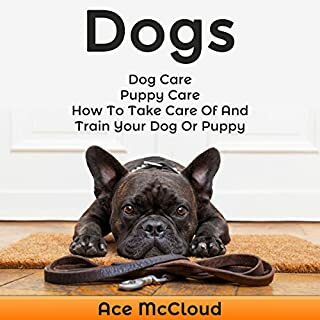 Whether you want to know which dog is best for you, discover the best training strategies, or learn how to care for your dog or puppy the right way, this audiobook will teach you everything you need to know. Master the care and training of your next best friend! Treat Your Dog Right With This Guide! Animals are just as vulnerable to physical and mental health problems just like us. However, unlike us they can't tell us what's wrong. Unless you're paying really close attention or are a vet, you probably won't pick up on something until it's too late. This book teaches you how to care for your dog properly from the start so you don't have to worry about being the cause of a health problem. Taking care of a dog sounds easy, but there's a bunch of stuff that most people don't know that could be making their dog miserable. If you have a family pooch that you love, buy this book and give him the lifestyle he deserves. Break into the biggest, most lucrative writing genre of them all! Are you looking to get into publishing and increase your chances of becoming a successful author? Why not start with romance? Romance is the most popular and best-selling genre of all fiction, accounting for the majority of all book royalties in the United States. Anybody can write and publish a romance book with just a good word processor, some great ideas, and some passion! Learn How To Write Romance In A Snap! When the book says that romance is the most lucrative self-publishing genre of them all, they aren't joking. However, like anything else that gets popular, the romance genre is swollen to bursting with half-baked, or downright bad novels. Don't nip your reputation in the bud by pushing out a piss-poor project. This book is currently teaching me how to write my first romance novel and it really couldn't be easier! So whether you just want to impress your friends, or whether you want to become an award winning author, resources like this are here for you! Photographic journalist Lea Vance lives in terror of her boyfriend until the night a powerful man steps between them and makes her feel something she hasn't in years: safe. Just as quickly as he appeared, however, he is gone, and Lea is left to wonder who he is and if she will ever have the opportunity to thank him for helping her escape. Feeling Unfulfilled? Scratch That Romance Itch! The end of the Twilight Saga s long gone and the Fifty Shades of Grey movie was kind of a disappointment. So what's next? And even more importantly, what do we read in the meantime? Well, I have the answer to the last question here! This book is a really interesting, suspenseful, engaging read that's digestible enough for you to read on the ride to work, on your lunch-break, or before bed. You've got nothing to lose and a whole lot to gain. Once you finish it, you'll be hungry for a sequel just like me! Are you tired of getting nowhere fast? Do you wonder why other people are seeing great success while you're stuck in mediocrity? 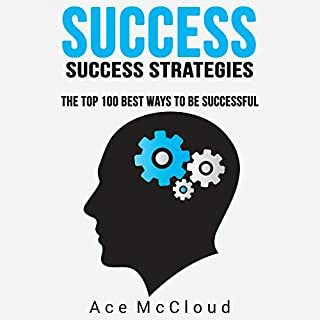 Whether you want to (1) be incredibly successful in life, (2) start doing things the right way, or (3) learn the success strategies of some of the greatest people who have ever lived, this is the audiobook for you! Becoming Successful Has Never Been So Easy! Would you listen to Success: Success Strategies again? Why? Absolutely, It gets you really pumped up for your next project. I use it to keep me motivated. Being successful isn't easy (if it was, everyone would do it). However, success isn't impossible. All you need is determination, goals, and know-how which is exactly what this book will give you. This book details everything you'll need to know to become successful and even gives you periodic milestone goals to hit so you know when you're on the right track. Once you buy and read this book, you'll find that it's more difficult to fail than succeed! Lose Weight And Get Healthy With Soccer! 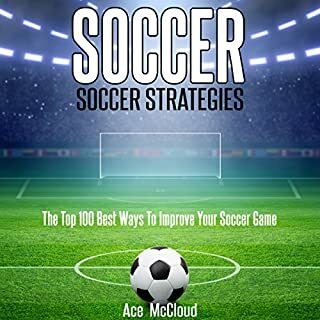 Would you consider the audio edition of Soccer: Soccer Strategies to be better than the print version? That really depends on your preference and lifestyle. If you're a multitasker and cant find time to sit for a few hours and read a book, then this is absolutely for you! Luckily, that's where this audio-book comes in! It will teach you everything from basic rules to sneaky tricks that the pros like to use! Because of this, it's actually perfect for anyone at any level. So if you have a high-school or college soccer player that might like this, you could give this to them too! Billionaire Alex Roeg is used to women throwing themselves at him. Young, gorgeous, and the owner of a major conglomerate that just keeps growing, he is everything that money-hungry socialites would want in a trophy husband. He just doesn't want to be one. What he needs is a woman who can pretend to be his girlfriend and deflect unwanted attention away from him so he can focus on his acquisitions and running his empire. Fabulous Romance Book To Curl Up To! The Billionaire Alex Roeg obviously! He's handsome, rich, dashing, really everything a man ought to be. If you've found romance books like twilight to be a little too juvenile, or books like fifty shades to be a bit too graphic, then this romance book is for you! It's the quintessential billionaire meets normal girl love story, and I couldn't get enough! Even though the type of story has been done before, it still brings its own twists that keep it exciting. I highly recommend this book for anyone with a sweet tooth that can only be eased by hunky billionaires! Baseball is so much more enjoyable when you know exactly what to do in key areas of the game. Discover all the specific tactics that you can use for your position on the field, so that you can react instantly when the time arises. This Book Knocks Others Out Of The Park! Baseball is an intricate game with dozens of rules. It doesn't matter how good you are at hitting home-runs, if you forget any one of the rules you could find yourself losing a game you could just as easily have won. 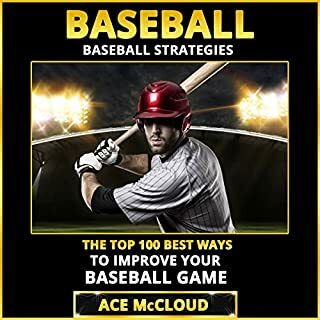 Luckily, this instructional baseball book can teach you tricks, tips, and give you hints that will be vital to improving your baseball game. This book managed to teach me a few things even though I had a coach at the time. I highly recommend this book to anyone who's looking to get into baseball, or anyone who already plays baseball but wants to take their game to the next level. Swim Like A Fish In No Time! Are you one of those people who wants to go surfboarding, boating, or cruising but can't work up the nerve due to your swimming skills? Well look no further than this instructional book by Ace Mccloud! The best time to learn how to swim is when you're a child. However, if you missed that window (which most people do) there's still hope! Resources like these are perfect for getting any adult regardless of age into the water in no time! It covers all of the steps, techniques, and tricks that a swimming coach would teach you at a decimal fraction of the cost! 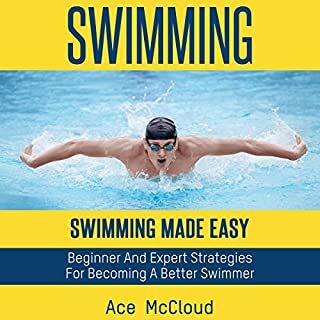 If you're already a pretty good swimmer, but want to be better this book can help you too! This book can help anyone at any skill level, and thanks to the audio format you can listen to it on your own terms. Give it a try, you've got little to lose and a whole lot to gain! Joint pain is one thing, but chronic, explainable pain is probably the worst thing imaginable. At least you can mitigate joint pain somewhat by not moving. 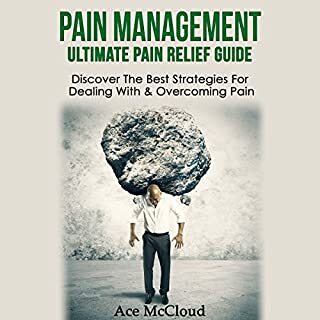 This book targets the pain that doesn't stop no matter what you do. Maybe you've been dealing with this pain for years and have yet to figure out the cause. Maybe the pain has just started and no matter how many Advil you take you just can't seem to beat it. Don't let this pain continue any more! You spend 1/3 of your life sleeping, so why spend the other 2/3 in pain? Buy this book and live the life you deserve. Also, check out the hip and back pain books by the same author. They can help you as well!